Finish the design of your your kitchen or breakfast bar with our stylish natural oak Rhodes bar stool. 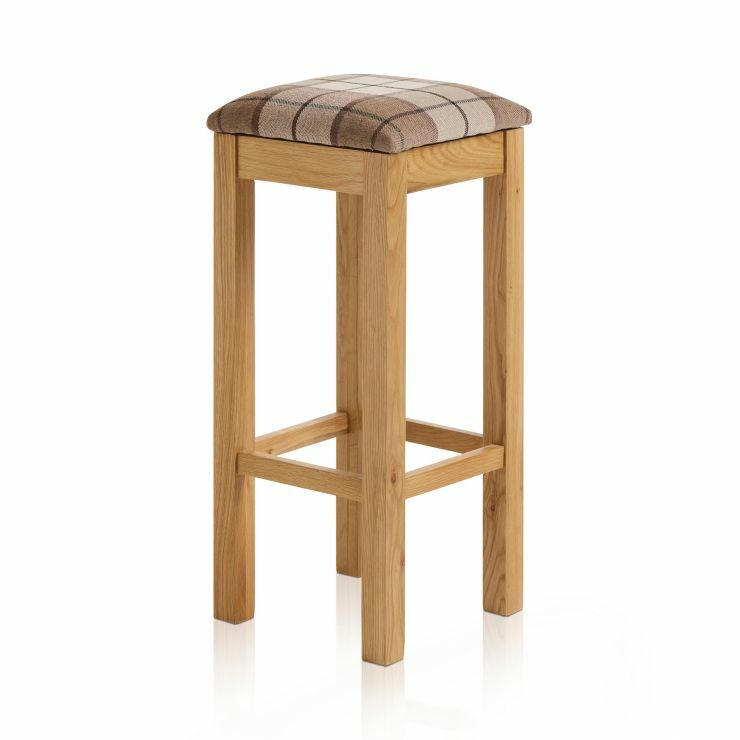 Made from 100% solid oak in our beautiful natural finish, it has a simple backless design. 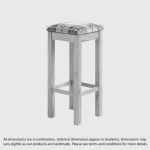 The natural finish to the base brings out the beautiful grain patterns of the wood, and the stool hasan elegant cross brace, which doubles as a footrest, too. 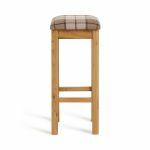 The cosy seat pad has high quality Check Brown fabric upholstery, made from durable materials to stand up to everyday wear and tear. Like all of our pieces, the Rhodes is made from only 100% solid hardwood, so you know it will stand up to family demands. Browse the full range of stylish Rhodes pieces today, and don't forget about our fantastic delivery options - free to your room of choice as standard.